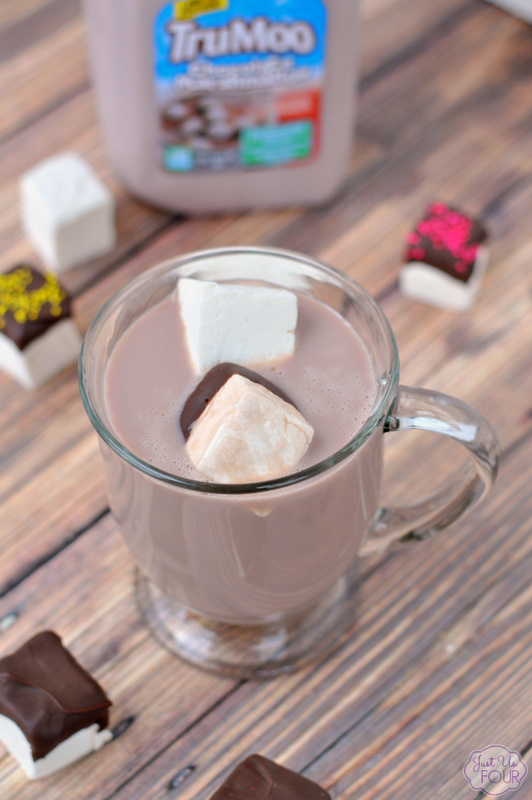 The perfect ending to a cold winter day of fun is a warm glass of chocolate milk with Chocolate Dipped Marshmallows for the finishing touch! Kids (and adults) love hot chocolate and chocolate milk. 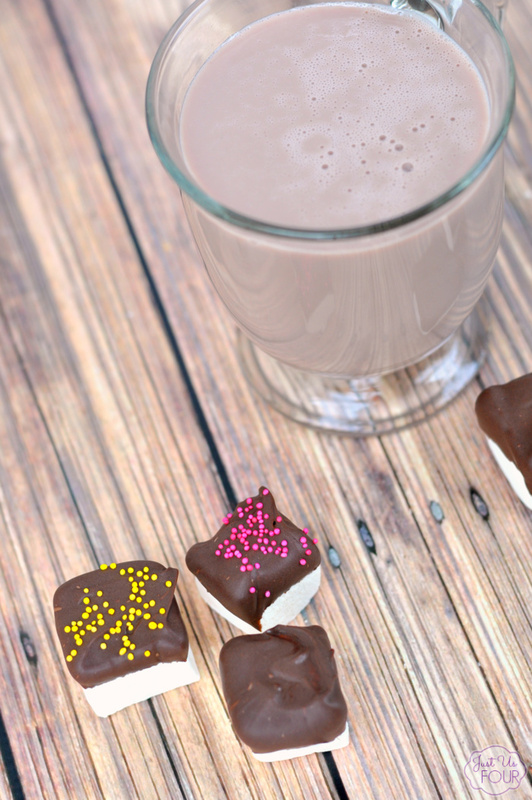 Make their chocolate drinks extra special with these Chocolate Dipped Marshmallows. They are also a perfect activity to get the kids involved with to keep their little hands busy on snow days. We have had a ton of snow days recently. First we had a major blizzard that dumped almost 3 feet of snow on the ground and then we keep getting little snow storms here and there that give us a few inches of the white, powdery stuff. My kids LOVE to play in it. What they love even more is coming back inside and enjoying a warm, chocolate drink. That’s why I always have all the marshmallow ingredients ready to go. I keep chocolate dipped marshmallows and chocolate milk on hand for those days. 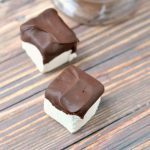 If you aren’t sure how to make marshmallows they’re super simple! I let the kids help with dipping the marshmallows and they added sprinkles to some. It was a great way to close out a day of playing and warm up after being outside in the cold. If you want to make these ahead of time, the marshmallows can be kept in an airtight container for a few days. 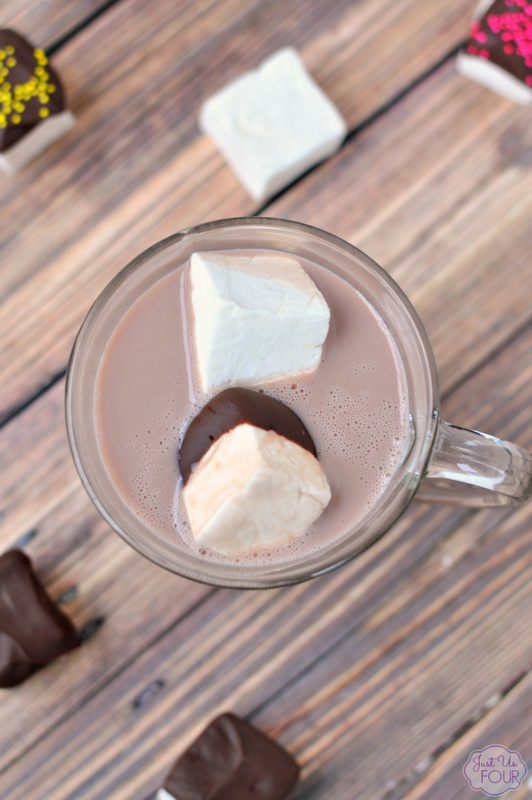 Have you tried making your own marshmallows before? If you try this recipe, be sure to let me know in the comments or share a photo on social media! Combine sugar, corn syrup, salt and 3 Tbsp water in a medium pan over high heat. Bring mixture to a boil. Using a candy thermometer, boil until mixture reaches 238-240 degrees. In a large bowl, combine remaining 3 Tbsp water with gelatin powder. Do not stir. Once the sugar mixture reaches temperature, slowly pour it into the gelatin mixture while constantly stirring. Beat for 10 minutes with mixer. Stir in vanilla. Spray a loaf pan with nonstick cooking spray. Spread mixture into loaf pan and let set for at least 3 hours. Spread work surface with powdered sugar and transfer marshmallows to surface. Using a knife dipped in powdered sugar, cut into squares. Place in freezer for 10-15 minutes. Heat chocolate chips for 30 seconds in microwave. Stir until smooth. Remove marshmallows from freezer and dip into melted chocolate. Place on parchment paper and let set for 5 minutes. Serve with warm chocolate milk or hot chocolate. 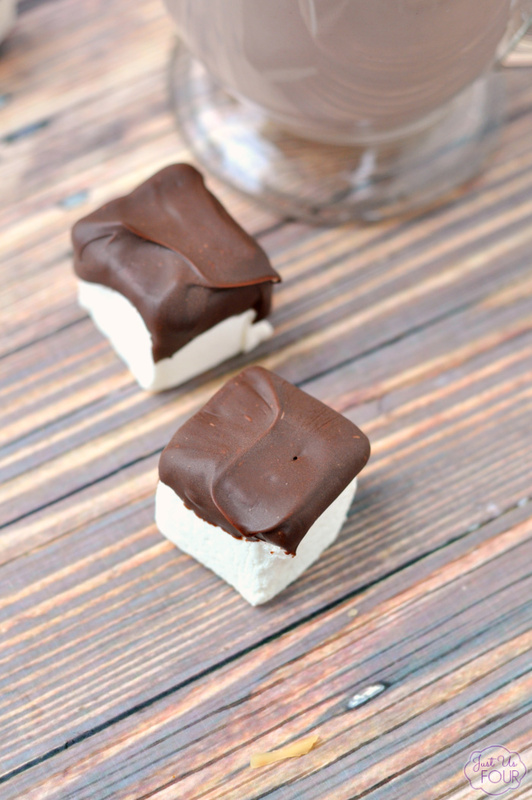 I love home-made marshmallows and this is such an awesome idea~ Thanks for bringing this by Throwback Thursday!